One South Wacker is a forty (40) story office building conveniently located in the business district of Chicago’s West Loop near the Chicago River. It’s a minute’s walk to suburban trains and CTA buses and train lines making it accessible for commuters coming into the loop each day or needing to get to and from O’Hare and Midway Airports. Nearby eateries include Lloyd's Chicago, One North Kitchen and South Branch Tavern Grille, not to mention Starbucks is right outside our door! La Quinta Inn & Suites, Hyatt Place Chicago Downtown and JW Marriott Chicago hotels are within close proximity. Amenities include 24-hour building security, a fitness center, conference rooms, restaurants, MB Financial Bank with ATM service, a sundry shop, and underground parking. This location is only blocks away from Willis Tower (formerly Sears Tower), Theatre District, Millennium Park, Art Institute of Chicago, Magnificent Mile and United Center events. 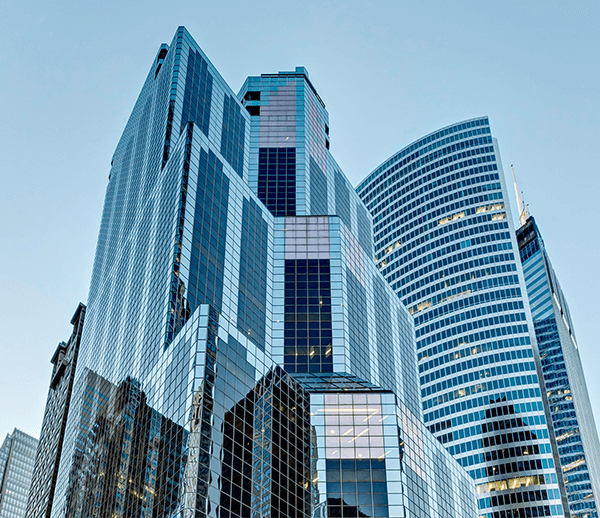 One South Wacker is an Energy Star rated building that meets the strict energy performance standards set by the EPA. One South Wacker is also LEED Gold certified for its environmental best-in-class building strategies and design.